Most of us install a number of programs in our PC for various purpose and uninstall that once the purpose is solved. Normally uninstallation is done via Windows control panel or using shortcuts provided in the Start Menu folder. 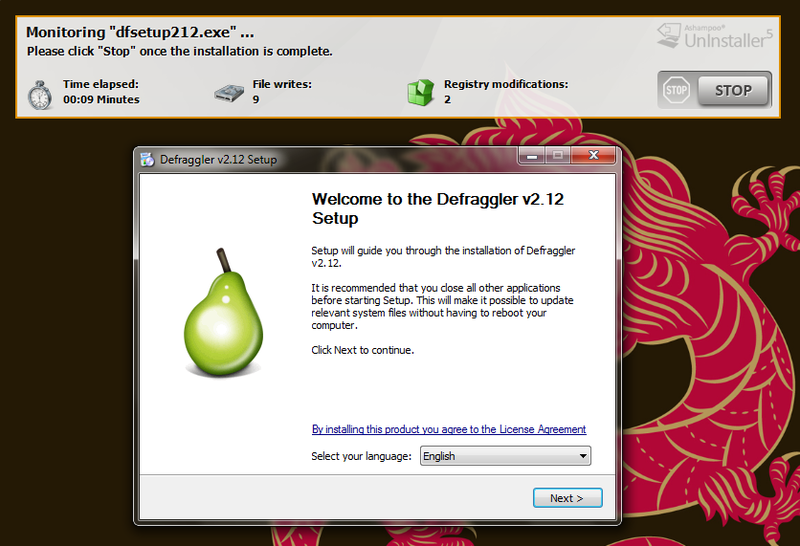 Since, the uninstallation algorithms are written by the software developer, we expect it to be perfect. Unfortunately, it is not true in most cases. Most developers give the accuracy of uninstallation the least priority compared to the perfectness of software installation, software usage etc. As a result, you may find broken shortcuts, registry entries, service items, files associated with a program which have been uninstalled. Always, the developers are not in guilty. Improper handling of OS (use of powerful registry cleaners), system crash etc. may corrupt software uninstallation process too. The leftovers of software uninstallation may cause system slowdown, consume disk space etc. Overall, we must agree that software uninstallation in its usual way, is not trustworthy at all and we need to open our eyes for alternatives. 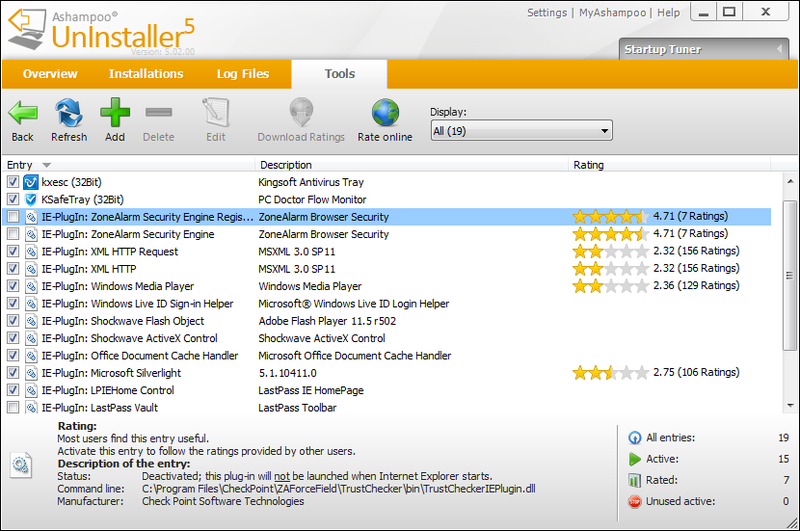 So, here is Ashampoo UnInstaller 5. 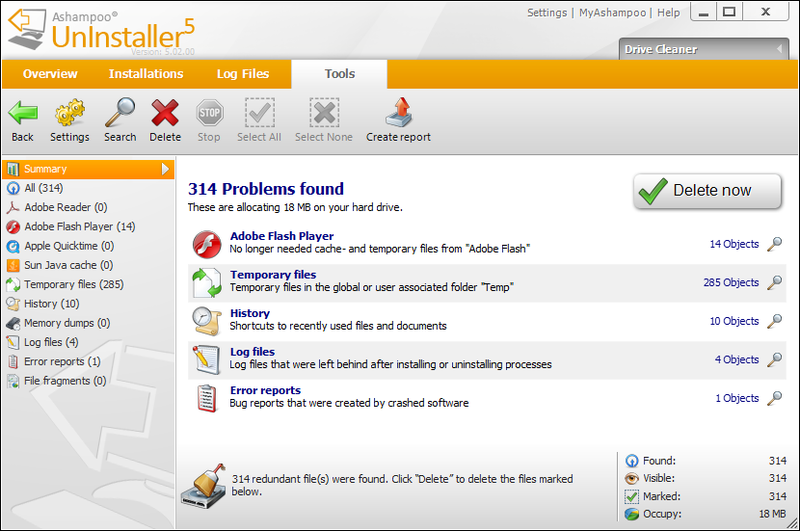 It is a trustworthy alternative to common software uninstallers. It uses two approaches: firstly to use complex algorithms to hunt for leftovers after common software uninstallation and secondly via monitoring new software installations, so that it will have a better understanding about the files, services and registry entries being added up! It also has a range of system maintenance, administration and file tools which makes the software even more versatile. I would definitely recommend the software! Ashampoo UnInstaller 5 can be downloadd using the following link. Installation requires administrative rights and went on fast. Installation is in 22 languages. Be careful during installation to avoid installation of unnecessary browser addons. A desktop icon will be created that points to the Ashampoo Marketplace. Normal trial period is of 10 days. Operating System: Windows® XP, Windows Vista® (32bit/64bit), Windows® 7 (32bit/64bit), Windows® 8 (32bit/64bit). Computer: Any computer that runs one of the above operating systems at a reasonable speed. Main Memory (RAM): The size of the main storage is insignificant for the employment of the program. We refer to the recommendations of the operating system in use from Microsoft. Hard Drive Space: 55 MB for the program files plus some additional space for backup files. Other: Full administrative rights are required to use the program. 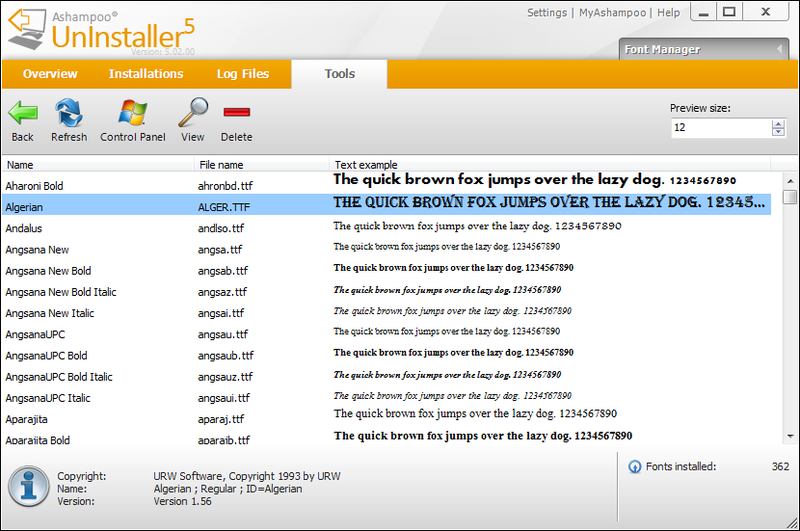 User Interface of Ashampoo UnInstaller 5 is neatly written. The overview screen will make you aware of all the main features in it. You can quickly access those features by a single click from the overview screen. Manual installation is preferred, if you choose not to keep running the monitoring service. You can access the manual installation via the Overview or the Installations tab and by clicking on the Install option. After selecting the appropriate option, you will be shown a quick tutorial and you will see the browse window to select your desired installer. You have select the Install option after that. A floating monitoring window will open and stay there, while the installation is in progress. You will be shown the time elapsed and the modifications of files and registry during that time. Keep running the installation with your desired settings and at its end launch the installed application once and then close it. Now click on the Stop button and it will alert you about the logged events and will automatically add name of the software in the saved log. In case you have cancelled the installation and no changes has happened, it will also inform you that and nothing will be saved. You can start the Installation Monitoring Service from the Overview tab. It can even start it with Windows. With the service running, you can close the software GUI and it will stay in the tray. Now run any installations and it will automatically detect it and start the logging like in the case of manual installations. If you attempt to uninstall a program whose installation had not been logged, you will be shown a prompt to run the original uninstaller in silent or normal mode and then to scan for the leftovers. Silent installation means you will not be shown any message boxes, no restart message and will proceed using the default options. While this is easier to handle, I would prefer you not to choose this option, because sometimes default uninstallation leaves user folders and settings etc. Please note that in some cases, silent uninstallation isn’t allowed too. In both cases, leftover scanner will run silently and you will not be able to see the leftovers before removing. 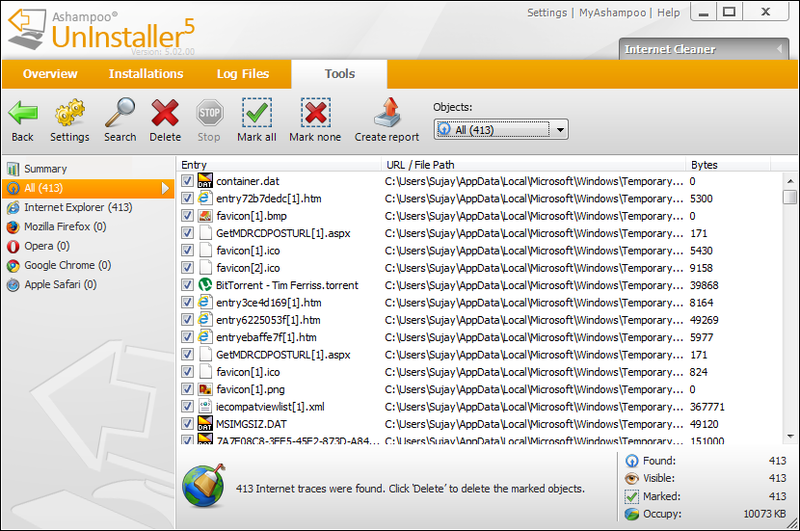 After the process, you will be given a statistics as to what number of files were deleted by original uninstaller and leftover scanner and how many will be deleted upon restart. If you want to uninstall a logged installation, find it in the Installations tab or in the Log Files tab. You have to proceed the uninstallation just like a unlogged application and the software will automatically add the information collected during logging. It has four System Maintenance Tools. All will start scanning as soon as you launch it. It cleans Temporary files, History, Log files, Error reports, Memory dumps, File fragments and junks from some special applications like Adobe Flash Player, Sun Java, Apple Quicktime and Adobe Reader. Registry Optimizer scans registry database and identifies faulty or broken links, in order to delete or repair those effectively. It creates backups and you can exclude some sections and even whitelist particular registry entries. This feature is to delete cookies, cache and other temporary files from all common browsers like Internet Explorer, Mozilla Firefox, Google Chrome, Apple Safari and Opera. You can also set some cookies to be whitelisted. 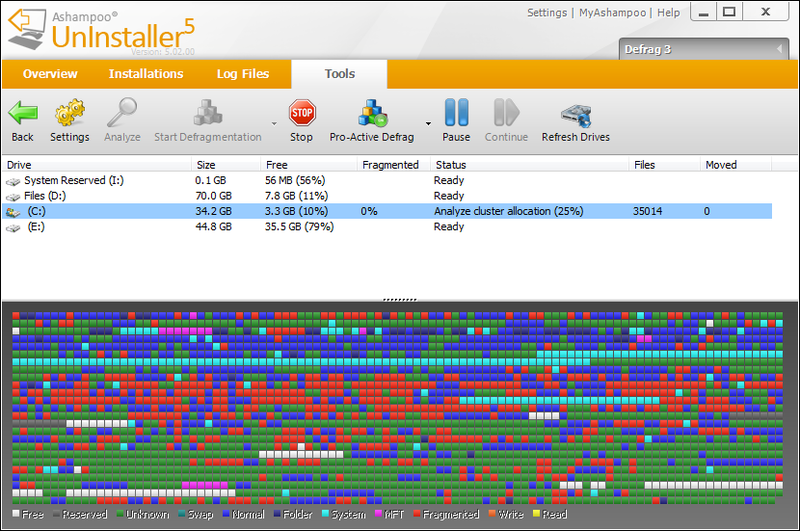 Defrag 3 feature can analyze and defragment. You can set the minimum level of defragmentation recommendation, which is 15% by default. You can also set it to defrag at boot time and also to defrag proactively. It shows you the list of services, their current status, user ratings etc. you can details, start/stop and rate each service. With Startup Tuner, you can see the list of installed startup entries, their description, ratings etc. You can activate/deactivate a startup item, add ratings and even add a new startup entry. This feature allows you to see a list of installed fonts, view it closely and also to delete a particular font. System Restore Manager allows you to view the list of available restore points, delete some or restore using a particular restore point. You can even add a new restore point. File wiper can delete files and folders securely using any of the four available methods: Fast, Default, DoD 5220.22-M and Gutmann Method. 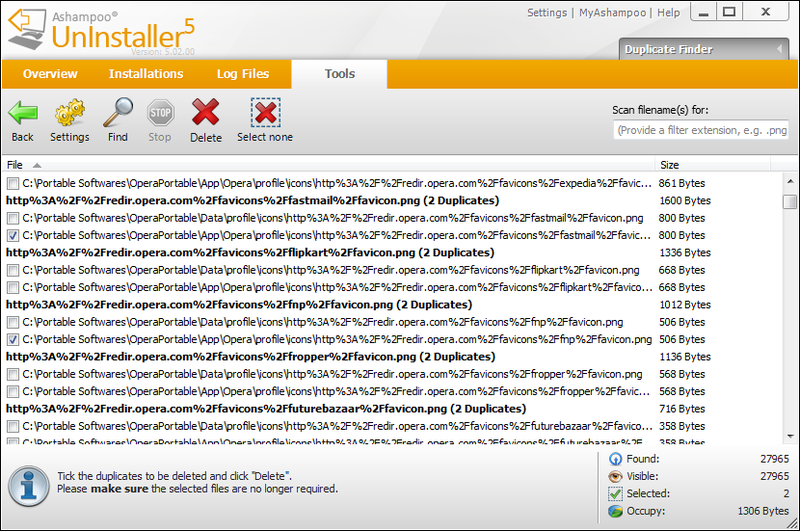 Undeleter can scan for accidentally deleted files in a drive, shows available files and their recovery condition. You can select files of your interest and recover those. This Link Checker feature can scan your system for shortcuts, will display a list and their status. You can even delete shortcuts of your choice or just the invalid ones. This feature will scan and show a list of duplicate files. You can choose to delete some. Administrative right is needed to launch Ashampoo UnInstaller 5. After launching for the first time, a dialogue will open, where you can enter your paid/trial license code, just proceed with 10 days trial, go to a special discounts page or go to the trial extension page. 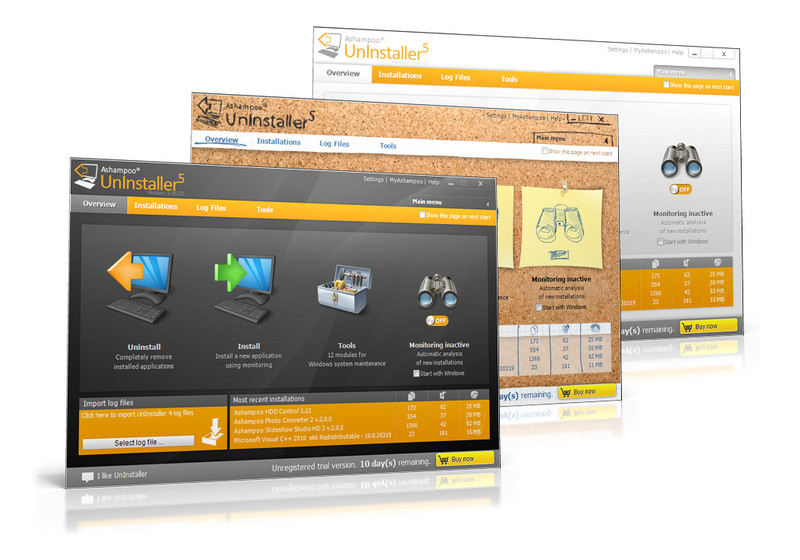 At program startup, Ashampoo UnInstaller 5 will search for program updates. Updates can also be checked manually. On first launch, it will ask you to choose a skin to use. Three skins are available. A splash screen will be shown while Ashampoo UnInstaller 5 is loading. You can password protect Ashampoo UnInstaller 5 to restrict unauthorized usage. 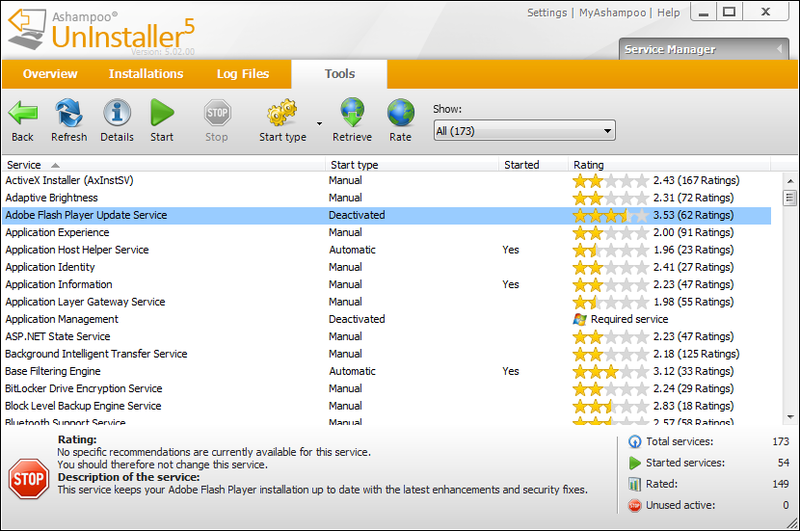 Ashampoo UnInstaller 5 is multilingual: 28 languages are supported. You can even translate the software in your language. Detailed offline and online documentation is available. Resource is minimal at idle time, moderate during some processing like duplicate search. This entry was posted in File Management, OS Enhancement, OS Maintenance, Privacy Related, Security Related, Shred, Software, Undelete, Windows and tagged Ashampoo, Ashampoo UnInstaller.